One of the most rewarding and insightful cruises is a cruise to the Mediterranean. I have put together a guide of cruises based on my decades of experience cruising in this wonderful destination. Best-value ship The Norwegian Epic megaship is quite affordable. It offers top-notch onboard entertainment, lots of dining options, the most coveted ports, and a Nickelodeon kids’ program, all with rates starting under $100 per person per day. Best large ship My favorite large ships are Celebrity’s Eclipse, Equinox, Silhouette, and Reflection. These four cruisers are 1,041 feet long but carry only 2,850 passengers, making them some of the most spacious in all of the Mediterranean. They are practically contemporary art galleries, with amazing public areas, lots of open deck space, huge gyms, Canyon Ranch spas, and food and wine designed by James Beard. Nearly 90 percent of the cabins have balconies, and there are lots of connecting cabins for families. Best ship for foodies Even compared with much higher-priced luxury lines, Oceania Cruises has the best food, wine, and array of gourmet restaurants. It’s no fluke: Famed chef Jacques Pepin designs menus for every dining venue on all of Oceania’s ships. Best-value cabins Norwegian Cruise Line’s mini suites offer nearly twice as much space as their standard balcony cabin. These cabins have almost king-sized beds, large sitting areas with a full sofa and vanity, and most have a larger bathroom equipped with a shower-tub unit. These cabins often go for under $200 per person per day for a weeklong Mediterranean cruise. Cabins worth the splurge The 5,750-square-foot Garden Villas on the Norwegian Pearl and the Norwegian Jewel. They each have with three bedrooms, three bathrooms, floor-to-ceiling windows, multi-tiered balconies, and an outdoor hot tub. Oh, and there’s a butler too, on hand to help you unpack, make reservations for restaurants and shore excursions, or plan the party you could easily host on your huge private sundeck. All the Garden Villas are in the VIP Haven section, which has its own pool, gym, and restaurant. While there are more luxurious ships sailing in Alaska, Norwegian has gone all out with its Garden Villas. They’re easily the largest family staterooms at sea—they can comfortably accommodate up to eight—and are outfitted with the same amenities you’d expect to find at a five-star hotel. In fact, these rooms are so private and so luxurious that many Hollywood and music-industry celebrities, and even one royal family, have booked them. Not surprisingly, luxury like this doesn’t come cheap: The suites run about $25,000 per week, but occasionally you can snag them for thousands less. Best cabins for families Thanks to an innovative design, the connecting cabins on Celebrity Cruises’ Solstice class of ships borrow some space from the public hallways (the recessed front doors to the two cabins form a private entryway), giving families more room to maneuver. You can fit a total of eight travelers in the two rooms, which together comprise nearly 400 square feet. Furthermore, the privacy partitions on the balconies can be opened for maximum family use. Best itinerary Though most itineraries are built to fit into a week’s vacation, a 10- to 12-day cruise gets you to more ports and, in the end, delivers a much more rewarding experience. Celebrity’s ten-night Eastern Mediterranean cruise on the Reflection, starting and ending in Rome, covers Sicily, Mykonos, Santorini, Athens, the ancient Greek ruins at Ephesus (in modern-day Turkey), and more. There are several departures from May through September. Best short cruise I wouldn’t recommend anything shorter than a seven-day cruise; choose a Western Mediterranean itinerary that starts and/or ends in Barcelona or Rome—both have convenient flights from the U.S. I like the Norwegian Epic’s seven-day Western Mediterranean from Barcelona, which covers history (Rome and Pompeii, accessible from Naples), the arts (Florence, accessible from Livorno) the French Riviera (Cannes), and Majorca. Don’t-miss port Barcelona. While Spain’s economy is in trouble, this city thrives with rich Parisian-style streets and Belle Époque architecture. It also has amazing pre- and post-cruise hotel options (at more affordable rates than you’ll find in Italy or France), and a world-class cornucopia of restaurants, nightclubs, and shopping. Plus, the weather is pleasant and mild year-round. Best photo op Without a doubt, a cruise into or out of Venice—with the sunlight glinting off the red roof tiles of this ancient city—is worth a thousand pictures. The ships dock just half a mile from St. Mark’s Square, and virtually all of the itineraries that begin or end in this wonderful port include an up-close cruise right along the Grand Canal. Port most worth the trek Celebrity Cruises visits Salerno, in the heart of the rugged and scenic Amalfi coast, while most other big ships have to call at Naples. From Salerno, you have access to Amalfi, Positano, Ravello (go by local ferry—it is faster and less hair-raising than the drive), and even Capri. This is a somewhat isolated part of Italy, where the postage-sized ports offer local atmosphere, warm hospitality, and some of the best ceramic shops anywhere! Best shore excursion Santorini Sailing’s half-day group tours on their luxury yachts and large catamarans: Cruise around this scenic Greek island for a panoramic view (avoiding the huge crowds that flock to the small town of Fira), swim into the sulfur springs of the volcanic caldera, then stop at a beach for a gourmet barbecue with unlimited wine, beer, and soft drinks—all for around 90 euro per person. If you can, book the afternoon tour, which drops you at the top of a cable car that takes you down to the port after all the crowds have left, and you are there with a handful to watch a stunning and romantic sunset over the Aegean before heading back to your ship. There are so many wonderful ships, price points, and options for cruising in the Mediterranean. Take your pick as increased capacity has made this destination a buyers’ market! I have cruised to Alaska more than 50 times and have put together a nice reference guide for what I think are currently some of the best offerings to the great land for 2016 and some new cruises being offered in 2017. The Norwegian Jewel and Norwegian Pearl, which set sail from downtown Seattle every Saturday and Sunday from May through September, and the Norwegian Sun, which cruises between Vancouver and Seward (a port for Anchorage) on what’s often called the Route of the Glaciers. Fares on these ships can be up to 25 percent less than on Holland America, Princess, and Celebrity. These ships are especially suited to families with young kids: The onboard atmosphere is casual—there’s no dress code—and the ships have well-managed kids’ clubs and a wide variety of entertainment options. Silversea’s all-suite Silver Whisper, which carries just 382 passengers. Even the smallest cabins are nearly 300 square feet and come with butler service. The food is sophisticated, thanks to Silversea’s partnership with Relais & Châteaux. Daily rates average $600 per person and include cocktails, wine, and other drinks, as well as gratuities. The ship caters to a largely international crowd. The 2,800-passenger Celebrity Solstice. It’s a stylish ship, with wide-open spaces and glass skylights that fill the public areas with light. While the food in the main dining room is average, several of the ship’s smaller specialty restaurants turn out great meals for a modest fee. Starting in 2015, travelers in the top-category suites will get access to their own private restaurant, sundeck, and indoor lounge, and all beverages will be included in the cabin fare. Two 62-passenger expedition vessels—the National Geographic Sea Bird and the National Geographic Sea Lion—sail between Sitka and Juneau, visiting many more ports than most big ships can manage. First-rate naturalists give lectures onboard between ports, and when the ship is docked, passengers board zodiacs, canoes, and kayaks to explore their natural surroundings up close. Neither vessel is plush, and the food is more home-style than gourmet, but the service is good, and you learn a ton. These Alaska cruises are pricey—nearly $1,000 per person per day—because of the unique itinerary and shipboard expertise, but they sell out quickly nonetheless, so book a year in advance. Ponant and Silversea have added their ultra-luxury ships in the Expedition market changing the game for those wanting to splurge on the BEST of the BEST!!! Norwegian Cruise Line and Holland America often run promotions where kids under 18 sail free or at a fare of $99 to $199 per person. These sales are limited-time and capacity-controlled, but watch for them, because they can be the best-value sailings in Alaska. Keep in mind that Norwegian’s shipboard atmosphere is much more casual than Holland America’s; the latter is more traditional and has a dress code on some nights. There are no bargains for solo travelers on an Alaska cruise: Fares for singles are based on double occupancy and thus are typically twice the usual price. Sometimes luxury lines such as Regent and Crystal Cruises and Silversea may charge solo travelers just 30 percent to 40 percent more than the usual per-person price. The small-ship expedition vessels operated by Un-Cruise Adventures and by Lindblad Expeditions/National Geographic offer knowledgeable onboard naturalists, zodiac landings, kayaking in Glacier Bay, guided hikes, and more. They cater to adventure seekers who would never be caught dead on a tour bus. Of course, the smaller the ship, the heftier the price tag. Rates start at $6,290 per person for a seven-day Alaska cruise. 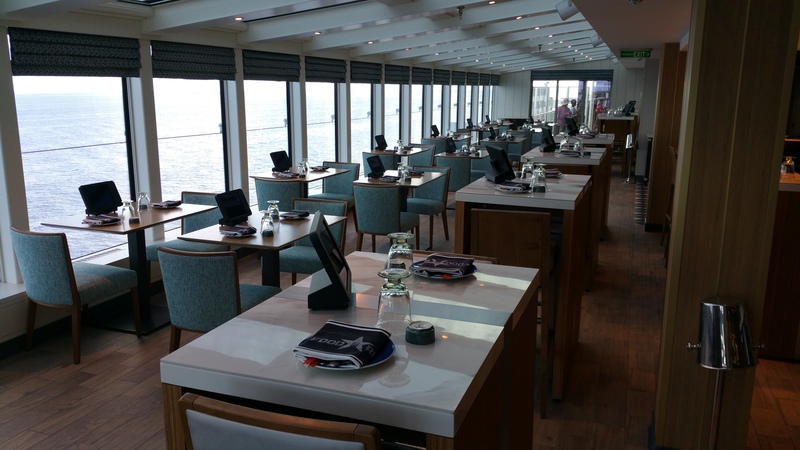 On Silversea’s Silver Whisper, chefs from Relais & Chateaux design menus for the main dining room and for Le Champagne, the smaller restaurant that specializes in gourmet food and wine pairings. Crystal Cruises, the #1 Rated Cruise Line in the World by Conde Nast and Travel & Leisure is also a foodies cruise with a Nobu restaurant onboard among many other grand dining choices! Many people think they want a balconied cabin on an Alaska cruise, but the truth is that with cooler temps and plentiful rain and wind, passengers rarely use those balconies. Among my favorite cabins are Holland America’s large oceanview staterooms. At 200 square feet, with big picture windows, three to four closets, and relatively large bathrooms that come with a tub, these cabins accommodate three to four passengers comfortably and work especially well for families. AquaClass cabins on Celebrity Cruises’ Solstice are about the same size as the ship’s oceanview staterooms (195 square feet) but come with a balcony plus access to the spa’s private steam rooms and lounge, a dedicated concierge, and Blu, an intimate shipboard restaurant. 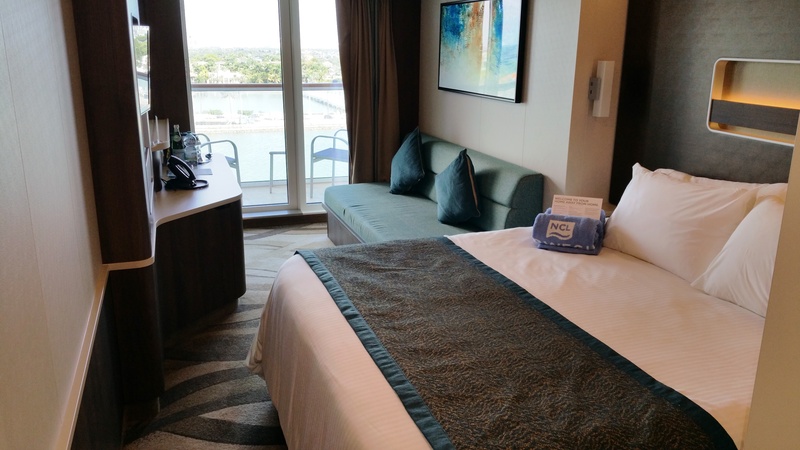 The mini-suites on the Norwegian Jewel and Norwegian Pearl are 285 square feet (compared to 160 for a standard oceanview cabin) and sleep up to four people. They’re priced significantly lower than similar staterooms on competing ships and often cost only an extra $100 per person above the price of a balconied cabin. 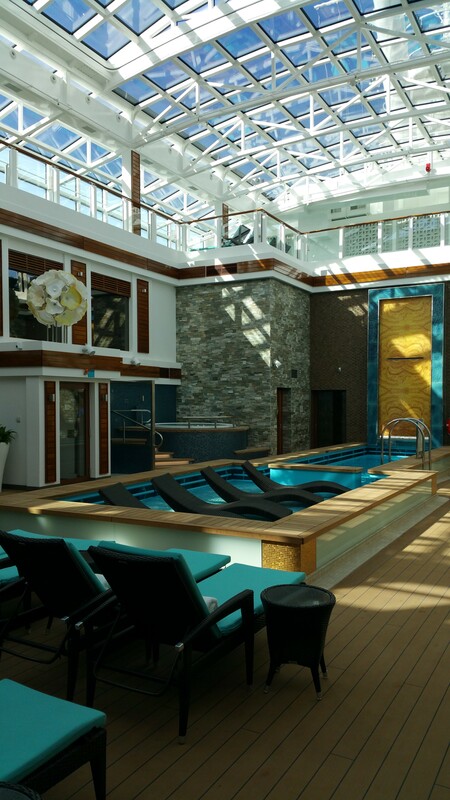 The 5,750-square-foot Garden Villas on the Norwegian Pearl and the Norwegian Jewel. They each have with three bedrooms, three bathrooms, floor-to-ceiling windows, multi-tiered balconies, and an outdoor hot tub. Oh, and there’s a butler too, on hand to help you unpack, make reservations for restaurants and shore excursions, or plan the party you could easily host on your huge private sundeck. All the Garden Villas are in the VIP Haven section, which has its own pool, gym, and restaurant. While there are more luxurious ships sailing in Alaska, Norwegian has gone all out with its Garden Villas. They’re easily the largest family staterooms at sea—they can comfortably accommodate up to eight—and are outfitted with the same amenities you’d expect to find at a five-star hotel. In fact, these rooms are so private and so luxurious that many Hollywood and music-industry celebrities, and even one royal family, have booked them. Not surprisingly, luxury like this doesn’t come cheap: The suites run about $25,000 per week, but occasionally you can snag them for thousands less. The two-bedroom suites (Category SC Penthouse or Haven S4) on the Norwegian Jewel and Norwegian Pearl, both of which sail on seven-day cruises from Seattle. The suites are 540 square feet, which is more than three times the size of a standard oceanview cabin, and have a king-size bed and sea-facing en-suite bathroom in the master bedroom. The second bedroom also has its own private bathroom, and there’s a living area and a dining room too. Both suite types offer concierge, butler, and VIP services. They can sleep up to six passengers (there’s a pullout sofa in the living room). Second best are the standard balcony cabins on the Celebrity Solstice. The ship has 121 connecting cabins in category SD-1A where Mom and Dad can have their own stateroom that connects to another stateroom accommodating up to four kids. Each cabin is at least 195 square feet, not including the balcony space, where the privacy partitions can also be opened. One that encompasses both the Inside Passage (an archipelago of 10,000 islands in the Alaska Panhandle near British Columbia) and the Gulf of Alaska (the coastline farther north that gives you access to Alaska’s interior). Sailings that include the gulf enable you to continue inland to Denali National Park, home of the tallest mountain in North America and the Big Five of Alaskan wildlife, including grizzly bears. These sailings are usually one-way between Vancouver and Anchorage—you fly into one city and back from the other—which makes them more expensive than solely Inside Passage cruises, which tend to be round-trip out of Seattle or Vancouver. Round-trip airline tickets to Seattle are most affordable, and thus many people find round-trip Inside Passage cruises out of Seattle to be the most budget-friendly and convenient; just be warned you’re missing Alaska’s backcountry. In May 2015 Princess Cruises will begin four- and five-day sailings round-trip out of Vancouver to Ketchikan (the salmon capital) and Juneau (the state capital and home to Mendenhall Glacier). Prices start at only $449 per person. The route is limited to the Inside Passage, but that’s good if you suffer from motion sickness, since the water there is calmer than in the Gulf of Alaska. Juneau, the state capital. It’s where you can heli-hike to Mendenhall Glacier; visit a salmon hatchery; take a guided rain-forest walk; or go river rafting, whale watching, or even golfing. Or you can sample an Alaskan-made microbrew and a halibut burger at the Red Dog Saloon, then take an aerial tram ride up Mount Roberts for panoramic views. Again, Skagway. It’s where the Klondike Gold Rush began in 1898, and the city still retains its historic character. One of the more interesting (and fun!) shore excursions is to take the narrow-gauge train along the jaw-dropping cliffs, while local guides spin yarns about the miners living in the area during the height of the Gold Rush. Sitka. It’s a historically rich and colorful little fishing town that was once the capital of the Russian fur-trading empire. In fact, it was here that the United States purchased Alaska from Russia in 1867. Today the shops, architecture, and even a local dance company hark back to the motherland. Sitka is also a base for water sports such as sea kayaking and diving. Cuba Cruise 2016-A Real WOW!!! Cuba is a land of deep contrast. The effects of a 50 year US embargo are seen in the decay of the cities especially in Havana but the country lives on with a vibrant culture of amazingly strong people that thrive despite its own governments restrictions and the countries lack of employment opportunities. The main cities including Havana seem to be starting a revival of sorts with a modernization of older buildings, burgeoning art scene, opening of new restaurants, and all great things Cuban that never went away even during the last 50 years where time seems to have stood still. Today, Americans are allowed to travel to Cuba via the People to People ALLOWED experiences for travel under 12 US government set categories and one I highly recommend for travel to CUBA before it really changes with proposed development is a Cuba Cruise. Cruising allows for a comfortable and affordable way to see this unique and VERY special island… Current US government allowances have approved travel programs to about 24 land and sea travel companies for US citizens to travel to Cuba. Currently, land tours average $800-$1000pp a day which is quite pricey for the quality of experiences offered! The quality of hotel offerings are few, quality is pretty low barring a couple of exceptions, and guests who participate in a land tour are hand held by a guided program most of their time ashore… A cruise offers a reliable way to see ports without long land distance coach tours from city to city traversing this large and beautiful island on unreliable roads and provides a comfortable home at sea to go to at the end of a day’s tour while visiting the various ports. My cruise offered a 7-day Montego Bay itinerary and frankly the BEST of the cruise programs I have seen thus far. The ship sailed from Montego Bay to Santiago de Cuba (birthplace of Castro’s Revolution), a day at Sea, 2 full days and overnight in Havana (Capital and gem of Cuba), a beach day at unspoiled Maria La Gorda, and the artistic town of Cienfuegos with its amazing art galleries and Greek Revival architecture! Many US insurance companies like MH Ross now sell insurance that covers travel to cub for trip cancellation, interruption, and medical. This is separate from the above medical insurance! Cuban visas are provided at embarkation. Guests must carry this as well as their passport in all ports of call when going on tour or going on an independent visit. Embarkation was smooth after a 2.5 hour flight from Houston. There are abundant flights to Montego Bay from many US gateways. The port is a short 15 minute ride from the airport and costs around $35 for a cab. The pier embarkation process takes just minutes and ones luggage arrives to the guests cabin simultaneously as the guest! Disembarkation was smooth but Jamaican officials are slow in reviewing forms and this process takes more time. Do not plan a flight out before 1130am… Luggage is taken ashore and the process is completed from around 8:30-10:00am. The return cab costs the same. This 3.5 Star ship has a storied career and was built originally in 1983 as a car ferry but was widely known in the 1990’s as NCL’s Leeward offering 3-4 day Bahamas cruises. She has been recently partially refurbished by her Greek owners and offers 7-day cruises from both Montego Bay for Americans and Havana for foreign nationals. Crystal is only 25,000 tons, carries on average 800 passengers, 9 decks, and is 532 feet long! The ship is vintage 1990’s, intimate, comfortable, and immaculately clean. Her cabins are spacious in most categories and while a bit dated in style, they are kept clean by a delightful cabin crew. Cabin bathrooms vary based on the cabin type and the higher the cabin type, the larger the shower stall. Celestyal Cruises just rebuilt the ship in November of 2015 and added some 53 balcony cabins to the vessel increasing overall comfort. The public areas offer a large show lounge, main bar, some smaller meeting rooms, outdoor aft bar with Jacuzzi (very popular, 2 dining rooms, a buffet restaurant, a small pool with sliding glass dome and is air conditioned, a spa, hair salon, large gift shop for the size of the ship, and a tiny casino with slots and 3 gaming tables. The ship has a multi-national crew with 20% Cuban staffing for the Cuba Cruises. The staff are quite friendly and work incredibly hard. The bar and dining service seem to be slower than most ships and this creates longer than usual waits for guests. Peak hours at dinner time 7-8pm create longer waits and the ship offers only open seating in the two main dining rooms along with a buffet up by the pool nightly to help offset waiting time but dinners usually lasted 2 hours or more due to lengthy waits between courses. Bar staff were taxed as the company now offers all-inclusive beverage programs and guests tend to drink more than on other ships! The front office staff were always helpful and friendly but questions abounded frequently due to the newness of the ship (my sailing was only the third). Cabin staff were most helpful and kept cabins quite clean with two daily cabin and bathroom cleanings. One had to request hand towels which was odd. Bathrobes are provided for higher grade cabins. The gift shop staff were very friendly and always very helpful. The ships officers were aloof and not nearly as friendly as I have experienced on other Greek ships. This was a bit of a disappointment but did not ruin the experience. The affable Cruise Director Danny was one of the nicest I have encountered, her attended to a long list of activities including one-of-kind nightly 1 hour review shows (some featuring Cuban history like a show called Revolution). The singers were very good and the amount of offerings was more than most lines provide during a week. The ship also offered extensive Cuban dance, cooking lessons and activities around the People To People Immersion program, and a fantastic Cuban lecture series during the week which was quite detailed and interesting. There were usual vegetable carving classes by the cooking staff, and other normal shipboard activities during the time at sea. Breakfast and lunch were mostly buffet style in the restaurant with some special order items and the offerings were fairly extensive but the quality was mostly average at best. All dining is open seating onboard so you most arrive with your party if you are traveling as a group of family. The food ranged from good to poor based on what you ordered and this was the downfall. I had some delicious and poor offerings all in the same meal selection so quality of preparation and delivery varied. The fish offerings were the best (not the Shrimp though). The deck BBQ was also quite good. I ended up ordering excellent Asian noodles with chicken several times which came on a steaming hot grill… Menu choices were the same as most ships but quality did vary. I heard the steaks were very thin and tough. The ship did offer a paid for upgrade for better quality steaks, shrimp, and lobster for a fee from $14.95 to $25.95 per person depending on the upgrade. Room service also came with a charge that was $6.95pp for continental breakfast and then a full varied menu that ranged from $4.45pp for sweet to$7.45pp for Pizza’s. The dining experience was pretty basic as I find on most mass market 3-4 star rated ships, but I certainly did not starve. All tours for the P2P program are offered daily and guests can actually upgrade tours in some ports and include nighttime show like the famous and historic Tropicana nightclub show in Havana… The offerings were mostly interesting and executed in a fairly timely manner in each port of call . The coaches were very comfortable fairly new, and had excellent A/C under the government owned Transtur. The guides are also provided by the government and varied in quality. I had very good Cuban guides except for the first day in Cuba wherein the guide barely spoke English and had a hard time communicating. When ashore, groups were 50 plus in size and it was nearly impossible to hear the guide speak in any noisy outdoor environment. The cruise line needs to invest is the whisper system for these type of tours to allow guests to get more out of their experience. All-in-all, I enjoyed the tours and learned quite a bit about Cuba and its people. Celestyal Cruises offers the most affordable way currently to see Cuba. Other cruise lines charge significantly more and offer less time in ports as they sail from Miami or offer fewer port visits. Celestyal Cruises does not demand participation in the People To People program which allows guests to go ashore on their own if they like and not have to attend all lectures and Cuban based programming if they are not wanting to do so. I felt this made the overall program open to guests desire to learn as they wished and participate in the amazing destination that Cuba offers with its lack of US restaurants, shops, business, and influence. The Cuban people are kind, warm, willing to talk to you and have a strength that is amazing given their strict communist government implications. The restaurants are becoming abundant and some are downright amazing and incredibly affordable, there are exceptional art & ceramic galleries with superb unheard of prices. One can procure masterful paintings at a fraction of the price than nearly anywhere else in the world. There are incredible museums, well-kept antique American cars fill the streets, and beautiful song and dance are abundant everywhere. American’s can bring home Cuban Cigars and Rum now but all purchases for art works, gifts, and the aforementioned must be made in cash. Some vendors took US cash but most took only the Convertible CUC (Cuban Peso). There were change kiosk’s in every port allowing guest to convert the currency of their choice. I loved my Cuba experience, enjoyed going now before things radically change, and encourage anyone who wants to experience a vacation that is like stepping back some 50 years to do it now before things really do change! 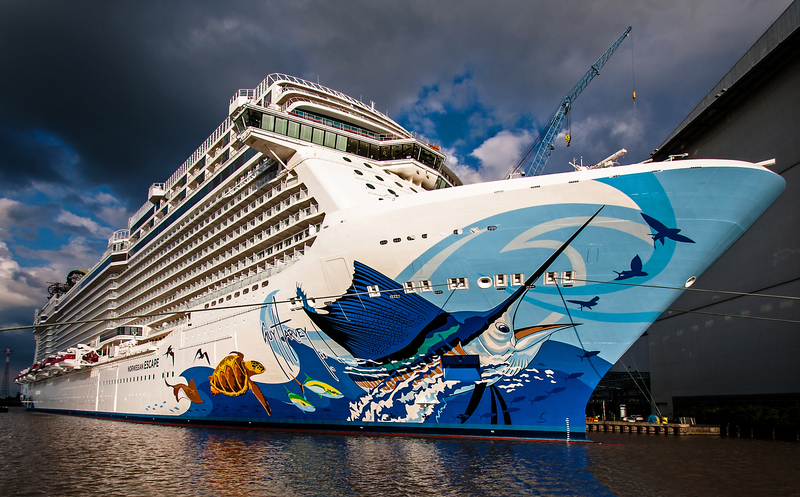 The New 162,000 ton, 1069 foot long, 4200 passenger Norwegian ESCAPE is the latest entrance into the modern Norwegian Cruise Line fleet and is perhaps the best ship introduced into the fleet thus far. Norwegian Cruise line Holdings which also includes high premium class cruise brands Oceania Cruises and ultra-luxury Regent Seven Seas Cruises is managed under the venerable Frank Del Rio, a man of great style and panache and carries a unique motto- “Family first”. Del Rio has brought over many attributes from his own successful Oceania Cruises to the new style and décor of ESCAPE as well as improved the dining experience for all guests in all venues claiming that the NEW Norwegian Cruise Line is soon to be the “foodies cruise line” in the contemporary market brand shared with Carnival, Royal Caribbean, Princess Cruises, and MSC Cruises. Escape offers a wide variety of cabins and suites to meet the needs of today’s diverse traveler. She has the largest array of complimentary and reservation (fee based) dining venues that make this more like a large world class resort than a traditional cruise experience. This ship has something for everyone and for all ages. I found the dining experience excellent throughout and sampled a wide variety of venues during my recent 2-day Christening Cruise with Cuban born singer Pitbull. 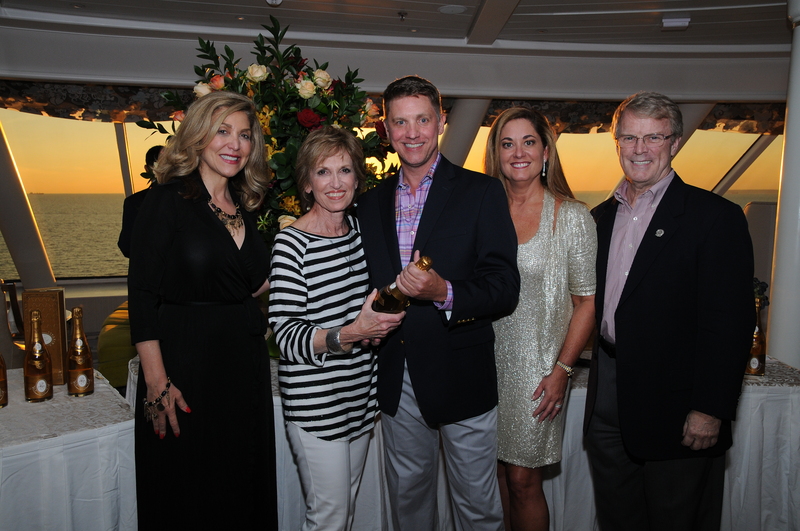 You can see Frank Del Rio’s touches everywhere and under NCL’s NEW president and longtime NCL veteran, Andy Stuart, the future of this company has never looked better! The seafood buffet offered abundant fresh Alaskan King Crab, full lobster tails, and fresh fish of wide-variety including sushi… There are two Margaritaville Venues by Jimmy Buffet, top brand gourmet dining venues with Bayamo by Jose Garces and Food Republic by the Pubbelly Group. These are just a few of some 28 dining venues onboard. My balcony cabin was very comfortable with plenty of storage for a week or so and had a very nice well planned bathroom with shower stall. The balcony was larger than slightly smaller Norwegian Breakaway and Getaway. NCL is already making some improvements to the Casino which will have enclosed smoking areas to improve overall guest health experience and note that the remainder of the ship remains strictly non-smoking per Safety Of Life At Sea maritime rules. Who is the Norwegian Escape for? Just about everyone. It meets the needs of travelers who may be more budget conscience to the high end luxury traveler wanting the private Haven enclave. This ship really competes with Las Vegas but is so much better as it floats, sails the Caribbean year-round, and offers multiple ports-of-call. It also offers an affordable vacation offer. Having just sailed on Crystal Symphony, a 20 year old vessel, it is hard to find any evidence of this being a vintage class ship although her only downfall to other luxury competitors is the size of here standard and balcony cabins being relatively smaller than other ships in class. Nonetheless, this does not keep this ship or her newer sister from garnering top awards year after year. BIG SHIP-Independence of the Seas! Spending a week in the warm climes of the Caribbean in January is music to many ears as winter has set in deeply and I must confess, it is a great time to escape for a week’s getaway or so! I was fortunate to sail on Royal Caribbean International’s Independence of the Seas for 8-days January 3-11, 2015 and visited St. Maarten, St. Kitts, San Juan, and Labadee, RCI’s sacred pristine peninsula paradise on the island of Haiti. Independence is a big ship at 1112 feet long, carrying nearly 4000 guests at full capacity, and introduced in 2008. While she is a larger version of the Voyager Class, she is extremely well maintained even though her décor seems outdated (not tired) in some areas. This due to the ship being designed in the early 2000 era and with many identical features going back to the Voyager Class of the 1990’s. Nonetheless, she is maintained with TLC, extremely clean, and a happy ship from a crews and hotel perspective… The ship received a multi-million dollar update in 2013 adding some alternative dining venues like Chops Grill, Giovanni’s Table, The Cupcake Cupboard, and a few others. A Flow Rider surf machine was added among many other notable features and a refreshing of the vessel. I was pleasantly surprised at the spaciousness of the ship with very few crowds-ever! The Royal Promenade down the middle of the ship is always busy but again never obscenely crowded. The pool deck works well as do all of the public spaces. The ship has many open atrium areas with high ceilings and lots of stunning maritime architecture features including a multi-million dollar art collection. This class of ship works better than some of Norwegian and Carnival’s newer class of ships which can be crowded and tight during peak guest movements. Kudos to RCI for creating a ship that flows well, has a wide array of entertainment, live music, and exciting venues to keep guests of all ages happy. My cabin was a standard D3 balcony cabin on Deck 6 aft quoted as being 199 square feet in the brochure with a balcony of some 40 square feet. I did my own measuring and believed the space to be 220 square feet and a balcony of 40+ square feet. The bed was comfortable with crisp linens and a memory foam pad (a bit too warm for my taste) but comfortable to the body, a full sized sofa, plenty of drawers, storage, closet space, a large flat screen interactive television with multi-channel (more than adequate) programming. The cabin was kept immaculate throughout except for a little dust behind the TV but my steward kept the room always looking spotless to the naked eye. The bathroom had a glass cylinder shower stall and adequate space for 2. The cuisine on the ship varied from extensive buffet options in the Windjammer to lovely lunch and dinner menus in the 3 level main dining room. The menus were quite ambitious and food often failed to live up to expectation but it wasn’t of poor quality. I think the larger ships have issues with putting out the high level quantities of quality food in short order. Often, my food was warm-not hot. Some items had sat too long. The Independence and her two twin sisters have the largest spa, gym, and workout facilities of large ships. I am duly impressed with RCI’s dedication to the amount of space offered to its guests. This is, however, consistent with all the incredible design features of this large and impressive 4-star rated contemporary brand! Entertainment was varied with high energy and campy street parades on the Royal Promenade. The most popular being a 70’s disco party, lively Broadway style musicals, entertaining comedians who did not cross over into too dark of comic realm, great kids programs for all ages. BTW, there were at least 500 kid of varying ages on this January post New Year’s cruise. There were outdoor dances, a Journey Tribute band, Latin music, disco, ice-skating rink with amazing ice shows in the incredible Studio B, and oh-so much more. One of my favorite things to do was to take a cupcake making class at the Cupcake Cupboard. 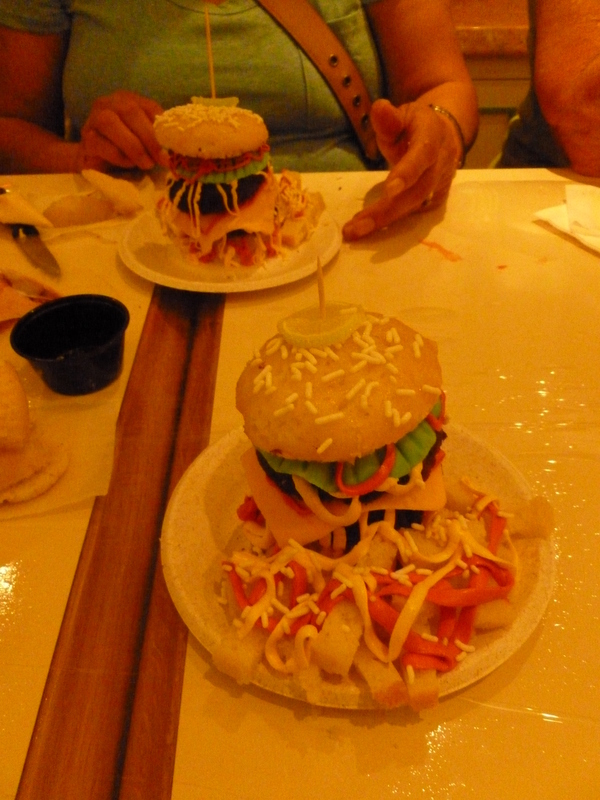 I learned how to make a cupcake puppy do and a cupcake cheeseburger with fries! The itinerary was exciting with lovely ports offering a wide array of shore excursions, shopping, and drop dead gorgeous weather. My two favorite excursions and port visits were St. Kitts taking a boat to the gem island of Nevis and a visit to the star studded Four Season Resort. Nevis is so isolated that celebrities go there to decompress and can walk for miles on gorgeous beaches without many tourists, no vendors, and no paparazzi… It is just as lovely as one could imagine. 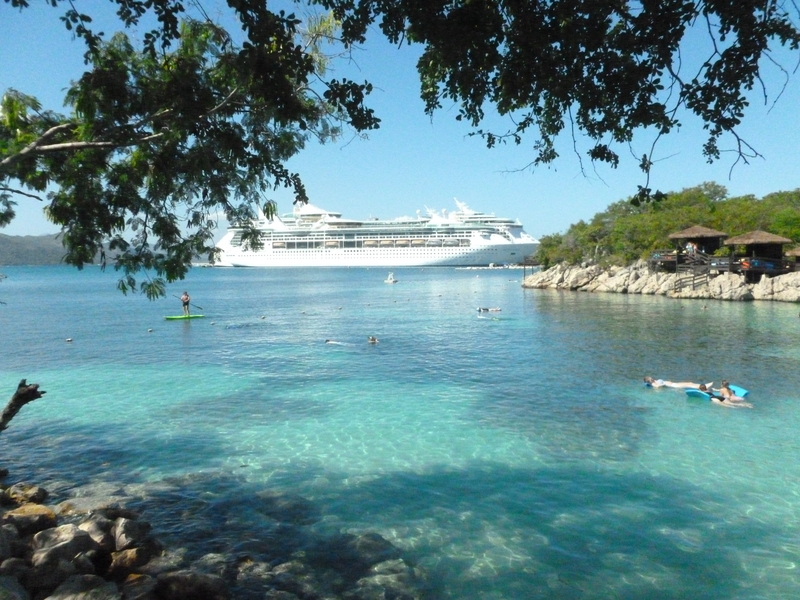 The second was Labadee, RCI’s private peninsula on Haiti. This masterpiece is isolated from the chaos of the rest of the island and accessible by boat. Royal Caribbean has built a dock for up to 2 ships-for easy guest access to the beach, has several absolutely lovely beaches, water sports, activities, a spa, several barbeque and dining areas, a large Haitian art center, entertainment, water slides, a roller coaster, zip-lining, and glorious over the water private bungalows-coveted and rented far in advance by guests in the know! The experience was a great getaway and impressive in its offering. RCI has a masterpiece in Independence and I believe this is one of the best family cruise or vacation options anywhere. The lights, the music, the crowds, the holiday atmosphere—wherever they’re held, Christmas markets are absolutely magical. 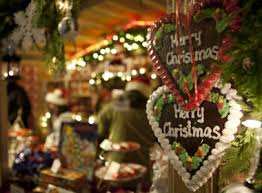 The only way to top the experience of attending a Christmas market in your own home city is to travel abroad to visit one of the famous European markets in cities like Zeebrugge and Amsterdam. As cold winter weather takes hold, it’s natural that we start to think of spending cosy evenings indoors—by the fire with a mug of steaming hot chocolate, perhaps—but there’s definitely something to be said for time spent outdoors too, especially when it involves a trip to one of the incredible Christmas markets of Europe. Whether you’re traveling in more prosaic fashion or arriving in style on a majestic ocean liner, there’s no question that the bustling market stalls, bright lights, and spectacular seasonal displays are truly breath-taking. And there are so many to choose from, in countries all over Europe. In Strasbourg, France there are no fewer than eleven different markets held every year—not for nothing is this city nicknamed the “capital of Christmas,” and the combined total of over 300 stalls receive more than two million annual visitors. Dortmund, Germany is home to the world’s biggest Christmas tree—its Christmas market’s central feature is a tree that tops 148 feet and is decorated with nearly 50,000 ornaments and lights. With so many incredible markets it’s difficult to choose the best, but still, in terms of markets held in port cities there are some unique experiences to be enjoyed in countries all over Europe. Belgium: Home to not one but two incredible Christmas markets, in Antwerp and Zeebrugge, Belgium is easily one of the best places in which to spend the holiday period. In Antwerp—otherwise known as home of the world’s best chocolate and chocolatiers—the advent of the holiday season transforms the city into a wonderland of lights that perfectly set off the city’s gorgeous cathedral. In the smaller city of Zeebrugge, the Christmas markets are perhaps not as spectacular, but this charming port and its village-like atmosphere will capture your heart nonetheless. Estonia: The medieval buildings and narrow winding streets of Tallinn are the perfect backdrop for Christmas splendor, and this Eastern European city spares no effort in preparing for the season. Streets are brightly lit and festooned with decorations, and each market stall is an absolute delight. Performances from local choirs at to the festive atmosphere, ensuring every moment spent in Tallinn gladdens the heart and the spirit. Ireland: The city of Dublin may seem an incongruous addition to the list, but the history of the city and its buildings are a wonderful backdrop to the excitement and bustle of the Christmas season. And thanks to the city’s plethora of bars and its incredible local ales, there’s always a cosy place to enjoy a quiet drink after an evening spent perusing the markets. The Netherlands: Already a hugely popular place for short trips, Amsterdam is the perfect Christmas market location, with its unique Dutch charm and picturesque architecture. Gorgeous trees, twinkling lights, and an array of pretty market stalls only add to the charm already created by its quaint streets and canals. MSC Divina- Diva or Divine? I had taken a several year break from MSC after my last cruise on MSC Splendida three years ago, MSC Fantasia on her maiden voyage 5 years ago, and two longer 10-day cruises on the older and much smaller MSC Lirica… I had personally taken a break as I felt the line had lost touch with its passengers and cared more for the vacuum cleaners than its guests as this spotless fleet of ships is so well maintained, but clearly suffered from service onboard as it was growing and adding ships at a neck-breaking speed… Online reviews had taken a beating and I felt the company was losing steam and passengers for its lack of controlling its training during its exponential growth! Having said this, I always felt the MSC Yacht Club excelled in its offering and value but the rest of the experience lacked compared to their favorable North American supported brands. Introduced in May of 2012 and named after Godmother Diva, Sophia Loren, Divina is a huge ship at 139,400 tons 16 decks high, and carries some 3300 passengers in 1637 cabins and suites with 1325 crew to service its guests. 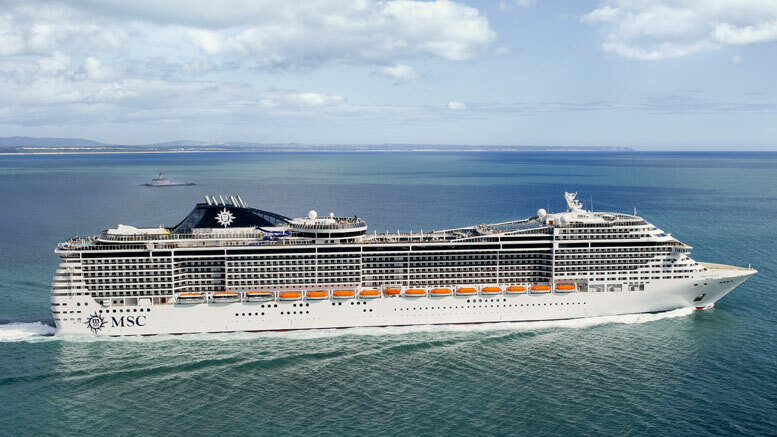 MSC made a clear cut decision to place Divina in the highly competitive Caribbean marketplace where she goes head-to head with venerable giants Carnival, Royal Caribbean, and Norwegian Cruise Line. Because she is not known widely to the North American market, this lovely gem of a ship is underpriced and often, unappreciated. I have seen her 7-day Caribbean Cruises listed from only $299 per person which is absurd! Before arriving in Miami, the MSC offices in Florida hired some top industry cruise experts to help gentrify the MSC Divina and make her more palatable to the domestic audience. 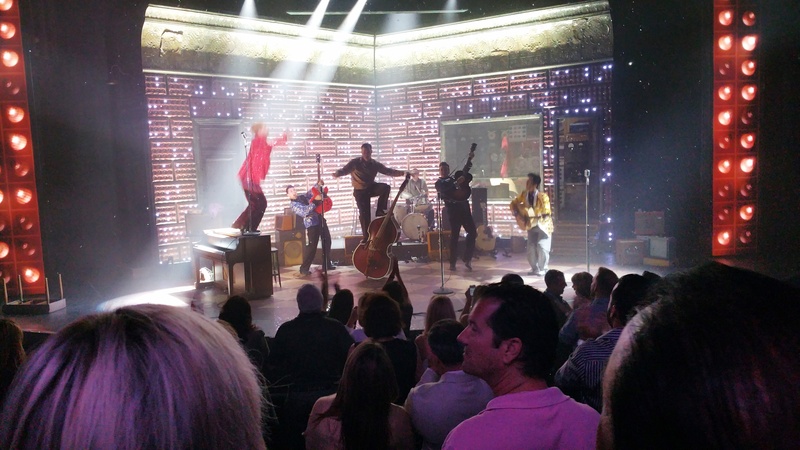 Nearly every part of the cruise experience was touched to make this unique cruise experience work for the US audience. In part, most of these variables work nicely without turning the Divina into just another cruise product…. Divina has improved its service and offering with English being the main language spoken, added North America style entertainment programs, music, and plentiful television programming. As a matter of fact, the two production shows I watched Wonderland (A Cirque De’ Soleil themed fantasy program) and Starwalker-a Michael Jackson tribute, were among the best I have seen on a ship ever with high energy, high quality sound, production, and effects making both shows spectacular! There was classical music played in the massive ships multi story lobby, and Elton John tribute, and more.. 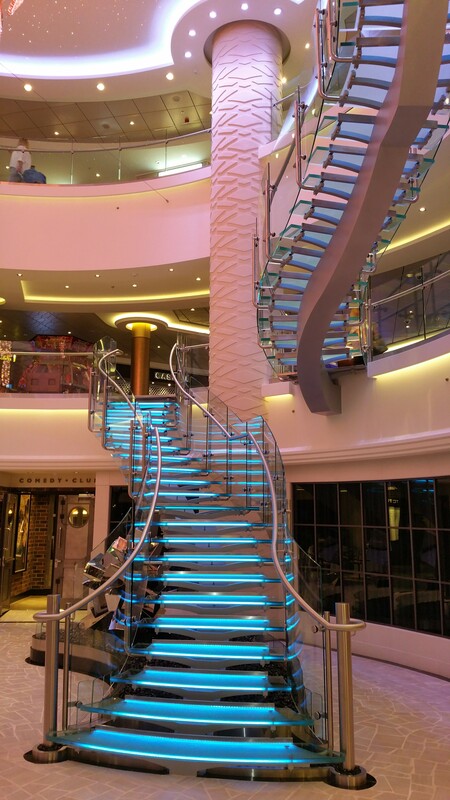 This lobby is flanked by massive staircases containing precious Swarovski crystals and each step cost 4000 euro… It is gorgeous and sparkles… There is a host of daily activity, night time parties including a White Party and Flower Glory (70’s and 80’s) party, and this ship bustles with lively fun for all ages including children whom sail FREE on most voyages.. The kids program is varied and dedicated to specific age groups from 3-6, 7-11, 12-14, and 15-17 to make the most for the many children who travel with this line. While MSC management in Florida insist this is a premium lass product, I would argue that it is not but offers a different European style cruise vs. the very American Carnival, RCI, and NCL… What MSC does deliver is exceptional value, underpriced cruise product for what it delivers, and an absolutely gorgeous ship with sumptuous rich deep burgundy and grey toned décor overall! There are so many lounges providing music, a sports bar with bowling alley, 4 lovely pools for all guests (1 dedicated for adults), a large jumbotron screen that shows movies throughout the day and night, and many places to find sun including a private area on top of deck 16 called the Top Hat where membership can be purchased for those wanting a totally quiet, elegant area to sun with its own dedicated bar, Jacuzzi and food service, Jacuzzi, sports facilities, magnificent and underused gymnasium, and spectacular MSC Aurea spa-which offered 30% savings on most treatments on my voyage make spa treatments some of the BEST VALUE I have seen-period on a ship.. for example, a 60-minute Bali Massage was only $88! I purchased a premium beverage package for $72 which allowed me 15 coupons to use towards the beverage of my choice. Just make sure you don’t lose them! MSC also offers beverage packages from $44-$57 a day for unlimited offerings.. There were numerous packages and I loved that a guest could choose from numerous packages based on their consumption, budget, and desire… I found bar service a bit slow and some cocktails seemed a bit weak compared to other ships but it wasn’t terrible… I did prefer the Cantina Di Bacco wine bar where fine wines by the glass or bottle are offered, fine trays of olives, cheese, and gourmet pizzas can be ordered.. It is little used compared to other bars onboard and quite casual and nice! 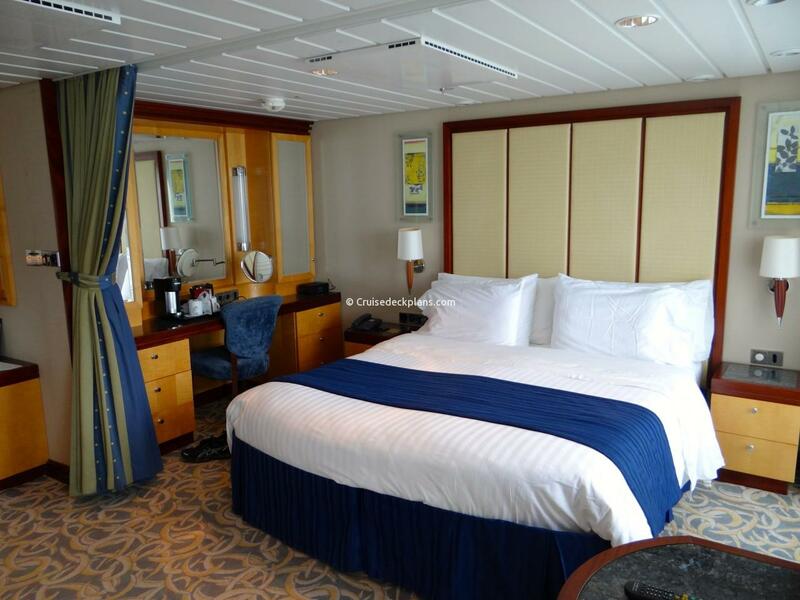 My balcony cabin on deck 9 was aft facing and approximately 200 square feet with a nice sized balcony offering another 34 square feet, the bed was comfortable with a nice fluffy comforter but the pillows were flat and hard or tired and lumpy. They needed replacement and I heard this comment frequently for other guests and other reviews. There was a nice sized sofa, three closets with storage and drawers, a safe, mini-fridge, vanity , flat screen TV with multi-channel and very adequate programming and nice sized bathroom with a glass door shower stall with environmentally friendly shampoo and body wash but a bar of soap to wash ones hands was noticeably missing. 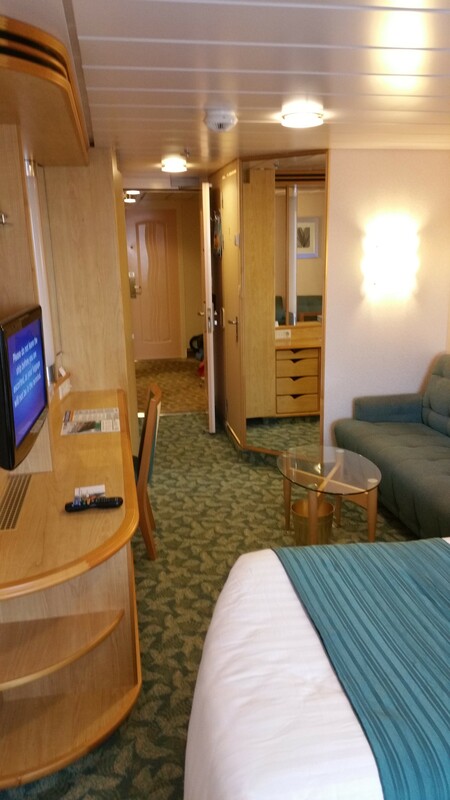 The cabin was spotlessly clean like the rest of the ship…. MSC charges a small fee for room service which I have no problem with and have a dedicated pizza over to make gourmet pizzas of many varieties from its Eataly kitchen. I will add, these pizzas are the BEST at sea!!!! 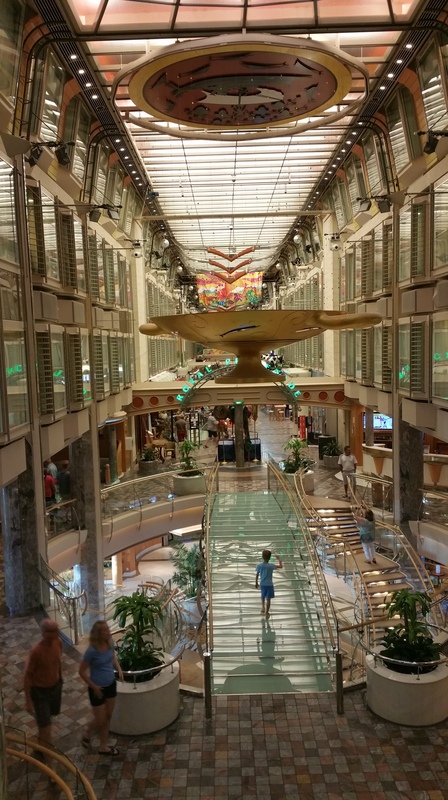 During my short 2-day cruise, I did not take my dinners in the MDR but spent my time taking in the 2 main alternative a-la-carte venues Eataly and Galaxy. Eataly is a branch of the famed New York eatery and deli where MSC offers a steakhouse and Italian dining in separate areas onboard. The atmosphere is a bit cold with plastic uncomfortable chairs but superb meals… My dinner had poor service from a friendly but inefficient waitress. There was no official Maître D’hôtel so guests wandering through the ship came pouring in and marched past ones table starring at what you were eating. All-in-all, I thought this venue was poorly executed although the food quality was good-not excellent… I wanted to buy some items from the well-stocked gourmet shop but there was never anyone there to sell items-very odd… The next night dinner took place in the Galaxy Restaurant next to the ships disco on Deck 16. This venue offered a panoramic view of the ship at sea, a gourmet Mediterranean a-la-carte selection, and live music. This fared much better but also suffered from slow but friendly service and I think MSC needs to better tend to these venues if they want to attract guests into paying its higher than normal fees for this type of alternative fee based venue. I was sorely disappointed in both due to the disorganized service… I will say, however, that the Galaxy at sunset is a gorgeous place to dine. MSC also offers a $28pp fee based gourmet brunch here from 10am-2pm and all food is cooked to order. I looked in and it was little used but looked quite lovely. The service onboard was friendly, affable, and professional at all times. Entrainment was top notch in every venue and the ship is a lively fun vessel with so many places to find one’s own niche. RCI International has a solid 4-4.5 Star ship on their hands with this product! 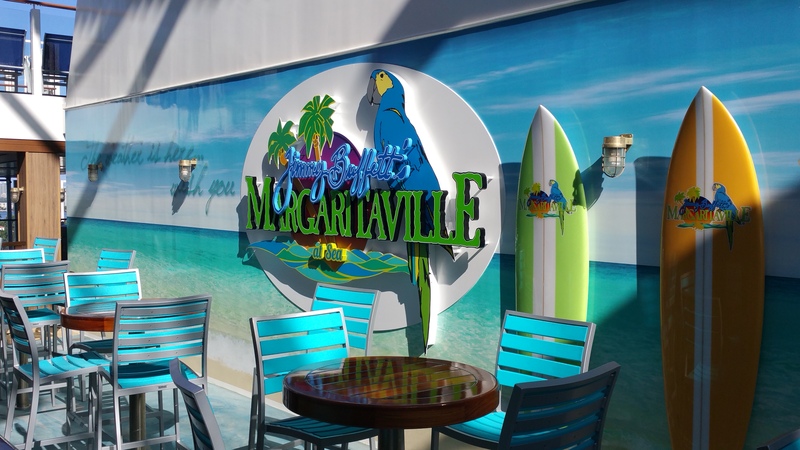 Navigator of the Seas completed a $66 million major makeover that saw the addition of a FlowRider surf simulator and an expanded lineup of eight dining options. 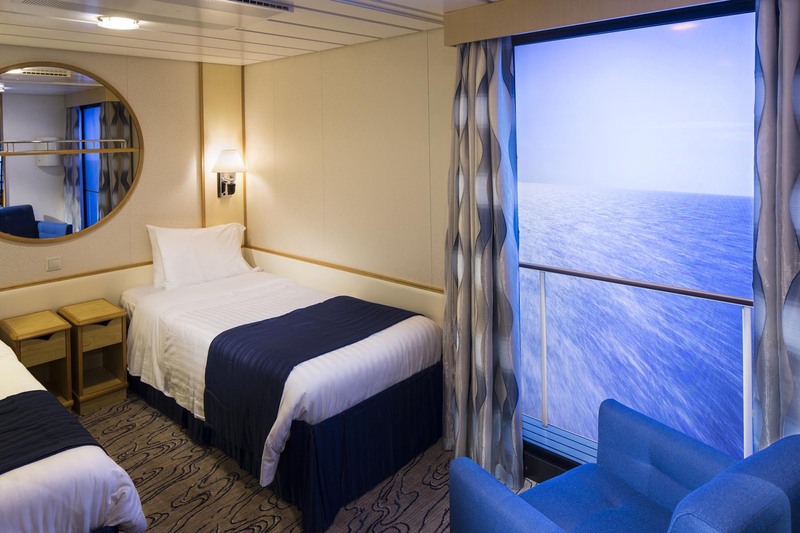 The (February 2014) month-long overhaul of the 3,114-passenger vessel also included the addition of “virtual balconies” in 81 windowless inside cabins, an industry first. Expanding on an idea pioneered three years ago on a Disney ship, the high-tech walls offer real-time views of the sea (see more below). Other additions to the ship include new Panoramic Ocean View cabins that have floor-to-ceiling glass walls. New eateries include Royal Caribbean’s first modern Mexican specialty restaurant, called Sabor ($25 per person); a Japanese restaurant called Izumi (prices a la carte); and Royal Caribbean’s signature Italian restaurant Giovanni’s Table ($15 per person for lunch, $20 for dinner). There is also a revamped version of the line’s signature, $35-per-person Chops Grille. An updated menu includes such new selections as Veal Chop Parmesan, slow broiled with caramelized shallots and topped with parmesan herb butter; and a slow-braised Short Rib of Beef with Bordelaise sauce. Other changes to the ship include the addition of digital signage; bow-to-stern Wi-Fi service; new flat-panel televisions in every cabin; an oversized LCD movie screen overlooking the main pool; a new Diamond Lounge for Diamond-level members of Royal Caribbean’s Crown & Anchor Society loyalty program; and a Royal Babies and Tots Nursery for children ages 6 months to 36 months all features that first made their debut on Royal Caribbean’s newer Oasis Class of vessels. 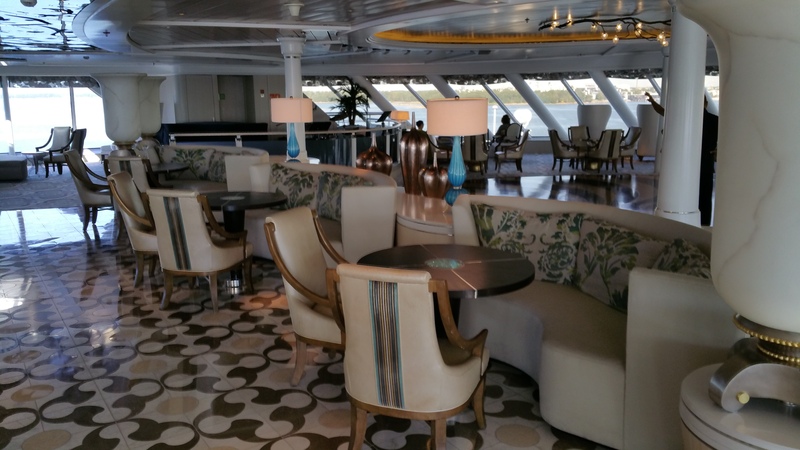 Additionally, the ship’s Champagne Bar has been re-conceptualized into Royal Caribbean’s signature, retro-chic R Bar. 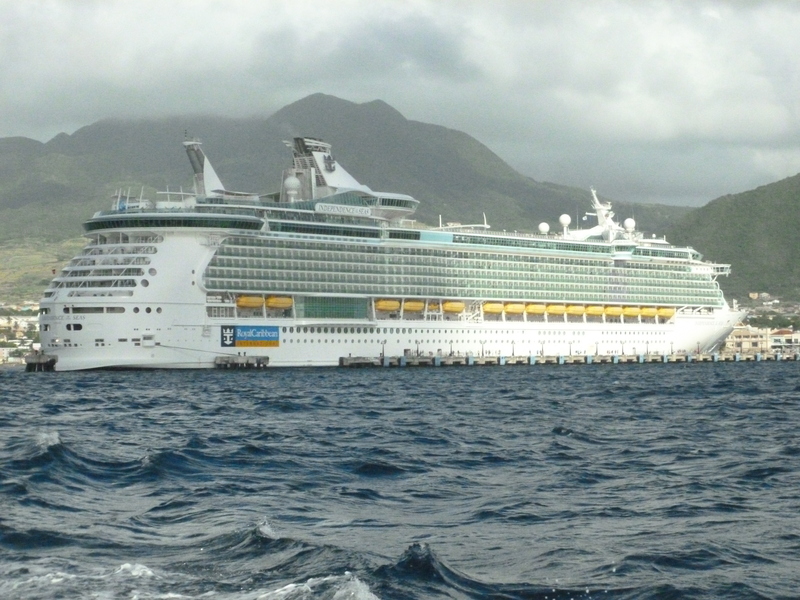 Navigator of the Seas sails year-round from Galveston, Texas to the Western Caribbean. Its seven-night itineraries feature stops in Cozumel, Mexico; Roatan, Honduras; Belize City, Belize; Falmouth, Jamaica; and George Town, Grand Cayman. She remains one of the most affordable vacations and BEST experiences in the Caribbean cruise market-period! 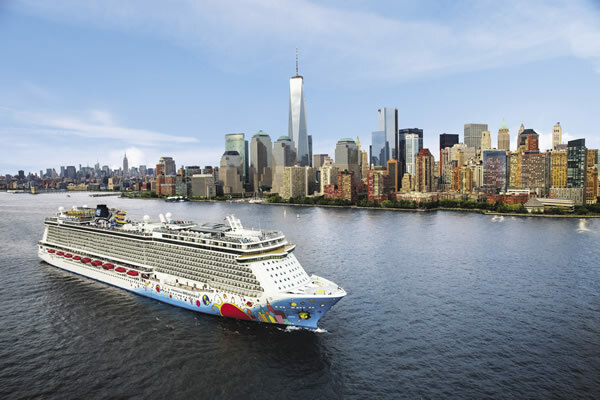 I was an honest skeptic about cruising from New York in the dead of winter to the Florida and the Bahamas but thought I would give Norwegian Breakaway a try! I sailed roundtrip from New York to Port Canaveral, Great Stirrup Cay, and Nassau during a 7-day cruise on a February 9-16, 2014 sailing in the midst of some of America’s worst winter weather in decades! Sailing out of NYC is always exciting from central Manhattan down the Hudson past the New York skyline, New World Trade Center Tower, Ellis Island, and Statue of Liberty! Breakaway sails from the mid-Manhattan cruise terminal which ails from severe congestion, parking nightmare, and traffic beyond imagination but embarkation seems to go fairly fast given Norwegian embarks over 4000 passengers in record time. It was a balmy 30 degrees when I checked in on a Sunday morning and moved quickly through the crowds and was whisked to the HAVEN (top suites) check-in desk to be provided my suite key. After this, I was taken into the HAVEN waiting Lounge which was packed to the rafters with guests awaiting embarkation. This was quickly abated as guests started embarking before other passengers and the room cleared within 10-15 minutes. Once embarked, the HAVEN guests were taken up to the HAVEN Lounge where the affable Adrian Bica, Head Concierge, explained the features of the HAVEN. These include use of the private lounge sunning area, bar, private gourmet restaurant for HAVEN only guests, pool, spa, priority show seating, priority embark and disembark, and so much more… The HAVEN suites have exceptional privileges, exceptionally decorated suites, and offer a Seabourn type of cruise experience atop a massive cruise liner… It is something quite unique to Norwegian and VERY special! 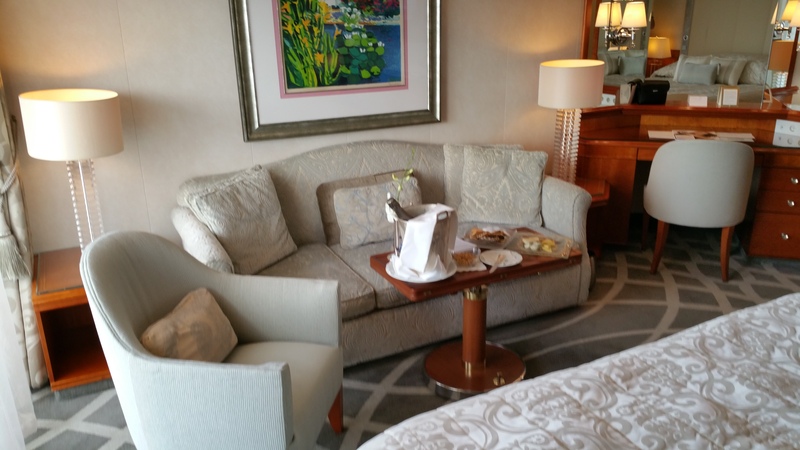 My HAVEN suite was a forward suite on Deck 13 (13706) outside the HAVEN complex located on Decks 15 and 16. It was a one bedroom suite with a large marble clad entry way with dining room, deluxe Illy coffee maching, living room with two elegant arm chairs, large screen TV, small balcony called a “Panasea” balcony that was mostly enclosed (I appreciated it on this cruise as it buffeted and wind or snow encountered sailing in and out of NYC, a large master bedroom with huge slanted window facing the bow of the ship, amazingly comfortable Italian made (the most comfortable of ANY ships bed), Kind sized bed, tons of closet and storage space, a huge master bath with large separate toilet, shower stall, and bathtub, double brown Villeroy and Boch sinks, all accompanied by bottled Elemis Spa bath products. I tried to measure the suite and figured it was near 475 square feet in size (perhaps a bit larger actually). My suite was overseen by a darling Stewardess and Butler-both who made me feel like a superstar! I wanted to take them both home with me. The HAVEN complex offers its guests respite from the busy downtown experience found on entertainment decks 6-8 where all the dining and entertainment take place. It is so nice to go downtown for a show and dinner and come back to sublime peace and quiet! I used the bar for cocktails where the staff seemed to know every guest by name and took breakfasts and most lunches in the elegant HAVEN restaurant (no added fee) where gourmet dining and cooked to order food was served by super friendly staff. It is something special to experience. I used the lounge area by the pool with a dome that opens and closes based on the weather only once but it was delightful with residential style furnishings and there was always room to sit or lay out! I am going to write a longer review about cruising on Breakaway later but wanted to convey the VERY special experience that guests receive in the HAVEN by Norwegian. 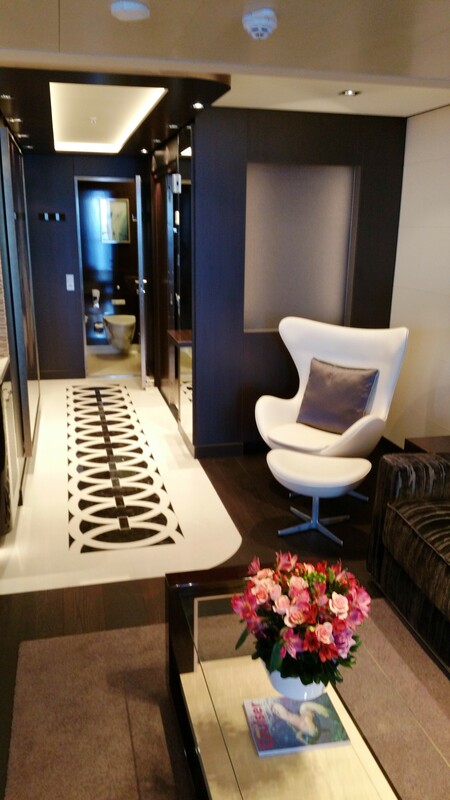 the most amazing thing after a lovely week onboard was that the Concierge, Adrian, made special arrangements for HAVEN guests who needed to disembark early, take a staff elevator to the gangway to avoid crowds for disembarkation. I had a 10am flight from La Guardia back to Houston and the ship docked at 7:15am… We were off the ship at 7:12am and outside the port meeting our car transfer by 7:30am..It was brilliant! I made it to La Guardia by 8am.. The HAVEN by Norwegian creates a really personal experience for avid cruisers, multi-generational families (there are many 1 and two bedroom suites for up to 6 guests), and gives a luxury experience to guests booked on a contemporary 4+ star rated and branded ship. This is still unique to the North American market and cherished by me and those who have discovered the HAVEN!!! !